Trio Virado is Amy Porter, Flute, Juan-Miguel Hernandez, viola and João Luiz, guitar. Represented by Sciolino Artists Management. 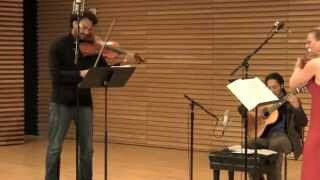 A VIDEO FOR AUDIO is a sneak peek at the spring 2015 release of their debut CD "Managbeira"
Trio VIrado is Amy Porter, flute; Juan-Muigel Hernandez, viola and João Luiz, guitar. 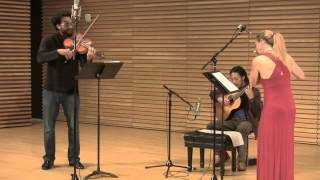 December 30, 2014 Stamps Auditorium recording session for debut CD "Mangabeira". 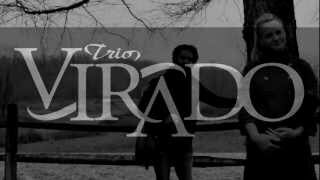 Trio Virado is a fresh new collaboration of three of the most distinguished artists on their instruments of flute, viola and guitar. Amy Porter, Juan-Miguel Hernandez and João Luiz are artists widely sought after for their musical performances on recordings and the concert stage. Joining together, they form a concert trio experience with emotion and love of music that radiates electricity.